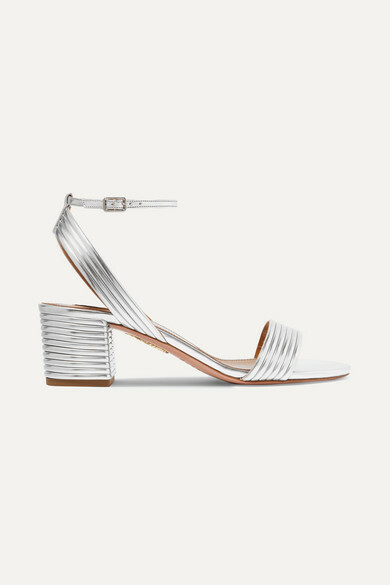 Aquazzura named these 'Sundance' sandals after the brilliant way the silver faux leather catches the light. 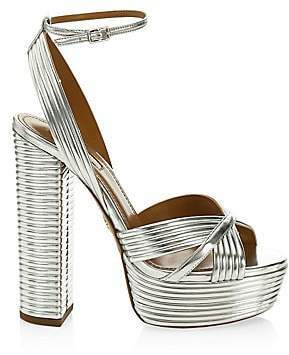 They're set on a comfy block heel - something you'll really appreciate after hours spent on your feet at your next event. Wear them with everything from cropped jeans to floaty summer dresses.